You know it’s the beginning of a bad day when you get stranded on a planet full of grumpy old robots and the only other bus stop is on the other side. Never mind the fact that the way to your destination is littered with dusty space castles, claustrophobic cellars, and vertigo-inducing rooftops. On your way to the next interstellar bus stop, you’ll meet a cast of eccentric, equally lost robots that speaks of the mysteriously absent Major, a staircase to the moon, and a missing bus manager. Who sabotaged the public transportation system? What are those strange noises coming from the moon? Will you ever make it back home? 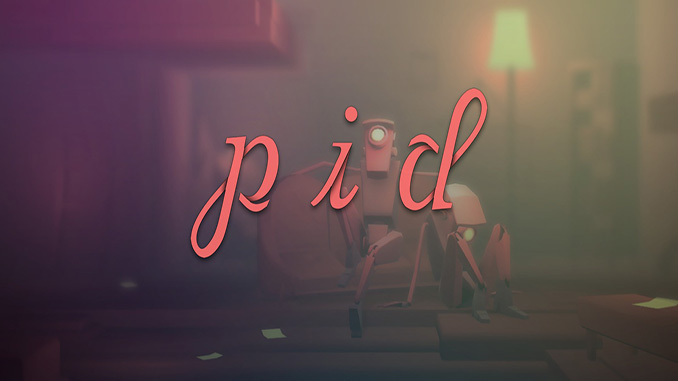 Pid is a platform-adventure with a unique mechanic – the Gravity Beam. Using the Gravity Beam, you can create thin fields of gravity that help you overcome obstacles, manipulate your enemies, and put yourself out of their reach. Use stealth in order to get past the roving patrols of robots and their inquisitive light beams. One false move and you’ll be caught and the next interstellar bus will go on without you! – Notice: The game fully supports gamepads. – Includes 72 Challenge Rooms that will test your wits and skills! – The core feature in Pid allows players to manipulate a powerful force that can be used to maneuver around the levels in thousands of unique ways! – Move enemies and objects, deflect bullets, activate machinery and change level layouts! – Lots of items such as bombs, lasers, smoke grenades that you will have to master to complete this adventure! You know it’s the beginning of a bad day when you get stranded on a planet full of grumpy old robots and the only other bus stop is on the other side. Never mind the fact that the way to your destination is littered with dusty space castles, claustrophobic cellars, and vertigo-inducing rooftops. On your way to the next interstellar bus stop, you’ll meet a cast of eccentric, equally lost robots that speaks of the mysteriously absent Major, a staircase to the moon, and a missing bus manager.